In case, you missed it Jordan brand just recently release an Air Jordan 1 mid and an Air Jordan 1 Low silhouette draped in the “Topaz Mist” branding exclusively for Grade school. To expand on the collection, the Air Jordan 7 to the “Topaz Mist” collection. 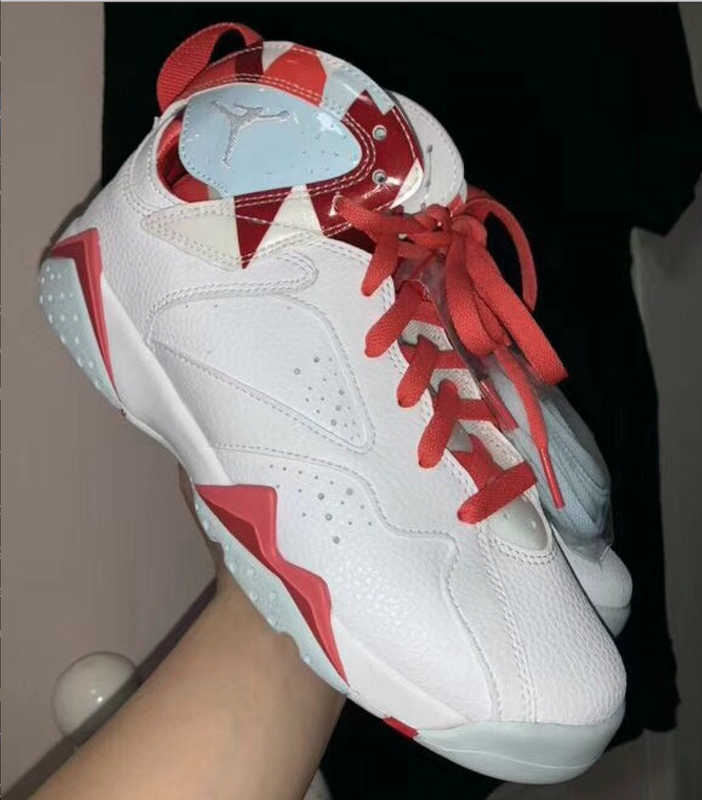 The latest for the Air Jordan 7, sees the silhouette handled in a white leather upper, mated with light blue accents along with red contrasting hue for some needed pop. A unique pattern is wrapped around the ankle collars that are also decorated in light blue red contrasting accents finished with a set of red and white laces. These GS exclusive Air Jordan 7 is expected to release on May 18th at select Jordan brand retailers and Nike.com web store.